If you have any kind of back discomfort caused by stress, tension or simply poor posture this is the treatment for you. Your therapist will locate the areas which are causing your discomfort and will work on releasing the knots. Your therapist will ask you what level of pressure you are happy with, the treatment can be as deep or as light as you wish. Try our Jule signature touch massage where we combine hot lava stones and classic Swedish massage movements to create a deeply relaxing and stress relieving massage. Let the heat of the stones penetrate deep into your muscles bringing about a sense of deep relaxation and total serenity. Scents of lavender and rosemary will awaken your senses whilst your therapist massages away the stress and tension which inhibits your body from working at its optimum. A truly indulgent experience and a wonderful gift. This treatment is specifically for individuals requiring deep tissue massage to alleviate sports injuries. It can be equally beneficial for individuals suffering from extreme tension in the muscles. The massage involves the use of elbows and the whole of the forearm. 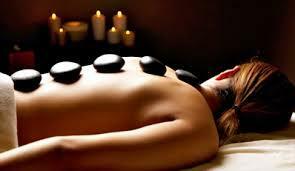 This is a results orientated massage and is not a relaxing treatment. Clients may feel sore for a day or two after treatment. A beautifully gentle massage designed to alleviate the issues of discomfort in pregnancy whilst rejuvenating heavy legs, easing tired muscles and relieving tension. Your specially trained therapist, will use a specific blend of essential oils that all combine to leave you feeling wonderfully relaxed and rested. Clients must be past the first trimester to have this treatment. We do not engage in any deep massage this is specifically a relaxing treatment. This massage is based on the ancient belief that each organ of the body corresponds to a reflex point in the foot. Using gentle thumb and finger pressure point massage of the foot your therapist can release blockages and re-establish the body’s energy flow. This then enables the body to heal itself. A course of treatments is recommended to bring the body back to a state of wellness. A therapeutic blend of essential oils tailor-made to suit your needs... a natural body ritual to relax and unwind body and soul. Perfect when you need some time to yourself! This 30 minute bath soak soften the skin while relieving muscle aches and delighting the senses. Helping you to forget about the world outside. 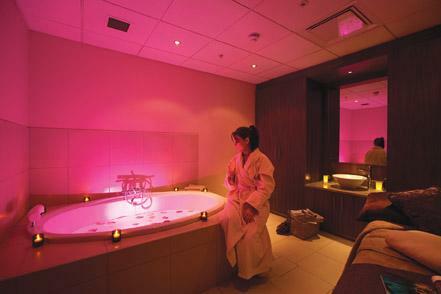 This treatment works to reduce stress and improve circulation and lavender-infused oil helps calm and relax your body.